The guitarist's old band, the Yardbirds, had just broken up, and two months later, Zeppelin was born. He calls the axe “the Excalibur” that he wielded through the wildly eventful year of 1968, when his old band, the Yardbirds, crashed, and his new band, Led Zeppelin, was born just two months later. 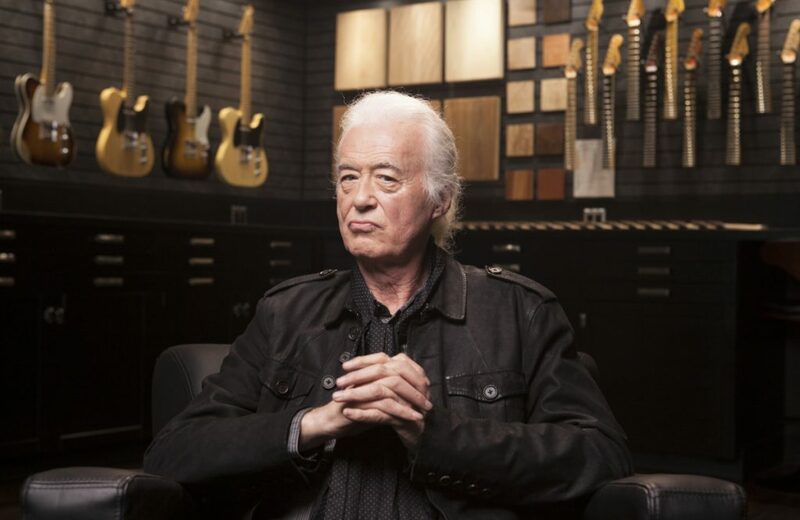 Page said he had Led Zeppelin’s sound, and first songs, fully formed in his mind before the Yardbirds were even done. Page said he used an unlikely bit of folkie inspiration – Joan Baez – to show Plant the sound he wanted, playing her recording of the song “Babe I’m Gonna Leave You” and telling him to emulate the way she sang the top line of the song. Zeppelin would put the tune on its first album. “The whole journey of Led Zeppelin and the rise of Led Zeppelin, each tour was just extraordinary, and the growth and the respect and love of the band, and the people that were flooding to see us,” Page said. The first record also included “Dazed and Confused,” with Page famously using a violin bow on the dragon guitar, which he played on every electric song on the record. Page said he made immediate and intense use of the instrument, and wanted to “consecrate” it, so he went at it with paints that were used at the time for psychedelic posters, and summoned the dragon. Page later left the guitar behind at his home in England on an early U.S. tour with Led Zeppelin in 1969. He’d come to regret it. When he returned, exhausted and abuzz, he found that a ceramicist friend who had been serving as his house-sitter had painted over the dragon in his own mosaic style as a “gift” for Page. Flash forward 50 years. Page was assembling a book for the band’s anniversary, and the dragon guitar kept popping up in pictures. Along with the book, the instruments are a tribute to the band’s 50-year legacy.